Cap Francais also served as an important area during and after the wars for independence against France in 1804. The city is often referred as the incubator of anti-establishment movements. Recently, from February 5-29, 2004, the city was taken over by militants who opposed the rule of the Haïtian president Jean-Bertrand Aristide. The city has been razed to the ground five times by man and nature in a similar way, and had four changes of name. 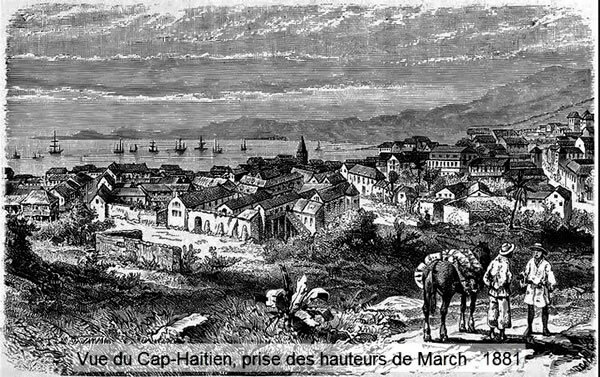 Cap-Haïtien, the second largest Haitian city is known by many names such as Le Cap or Au Cap, Cap�'Français, Cap�'Henri. A new highway has reduced traveling time between Port-au-Prince and Cap-Haïtien from 11 to 3 hours and effectively opened the area to tourism. Historic Haitian town Milot is located only 12 miles away from Cap-Haïtien. Milot was Haiti's first capital under the self-proclaimed King Henri Christophe, who ascended to power in 1807 and renamed Cap�'Français as Cap�'Henri.